(Lisa Renee) The war over consciousness is bubbling to the surface, with more pieces being exposed to the light of day for those who are willing to see. This month we look at the over arching agendas to manipulate the environment, weather, the food supply, human DNA expression and higher consciousness, through Genetic Engineering. 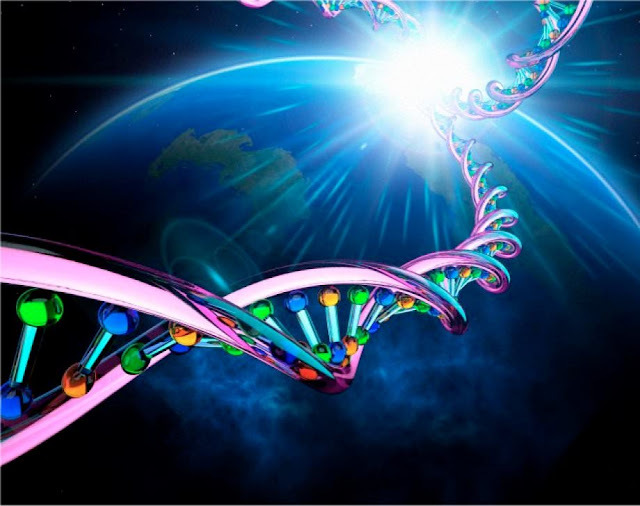 When we understand the potential of the 12 stranded DNA design during the ascension process, it is no wonder the NAA have been attempting to destroy it in everyway possible. This effort began to escalate after World War II with alien contact, and again in the 90’s when more of the Indigo and Crystal children started arriving in larger numbers. As we connect the dots between the multiple avenues used to control and manipulate human consciousness, we can see why a full disclosure event is needed. Until then it is up to each of us, to do our best to accurately assess the world of forces in our day-to-day lives, and to make informed and conscious decision about what we interact with. The Controllers and the intelligence community have established an assortment of secret military programs that act in explicit cooperation to carry out the (Negative Alien Agenda) NAA objectives for bio-spiritual consciousness enslavement, through mind control and Genetic Engineering. These many covert operations are carried out against the public to gain access and control over human brain waves. Which intentionally shape brain cognition, thoughts and behavior, and to limit perception and intelligence quotient (IQ) in the masses, in order to harvest earth based genetics and continue to modify gene expression in humanity. In simpler terms, these hidden technologies are targeted to the public for the purpose of mind controlled gene expression. This is a type of Genetic Engineering that has been conducted through a variety of technological, medical and pharmacological experiments, hidden behind covert military backed operations that have been exploited by the Controllers since World War II. Many of these hidden military and bio-technology experiments such as Chemtrailing, Vaccinations and the production of GMO foods, are visibly seen in the outer world. Yet, many people are still not aware of the global enslavement agenda that includes controlling the genetic expression of the human population. Related The Mind and DNA | If DNA Is Software, Who Is The Programmer?